The 20th anniversary of the establishment of the Eden Taipei Wanfang Center was held via the “Formosa — Disabled Artists’ Art Exhibition” Opening Ceremony at the National Dr. Sun Yat-sen Memorial Hall in Taipei City today (11th). 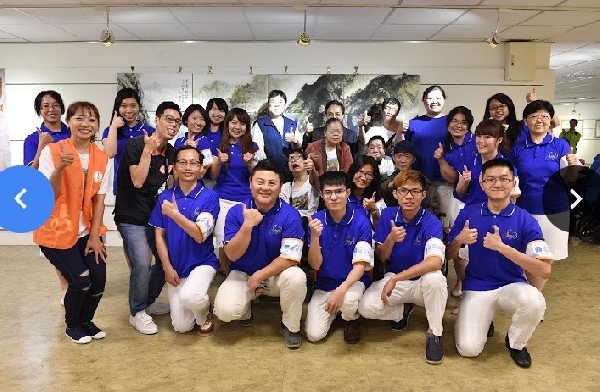 Christian Gospel Mission (CGM)—a long-term volunteer partner of the Center—elaborately gathered 30 choral members to perform the expressive Taiwanese folk song, “April Rain,” with their melodious voices. Lin Kuo-chang, Director-General of the National Dr. Sun Yat-sen Memorial Hall, Eden Foundation Deputy Executive Director, Lin Wenbin, and Eden Taipei City Mayor, Liang Chiung-i, came together to perform at the opening ceremony. Deputy Executive Director of Eden, Lin Wenbin, expressed that Eden Wanfang Center has, on the promise of becoming the second home to disabled friends, serviced close to 80 disabled families for the past 20 years. The center’s characteristic service is “The Artistic Creation of Fine Arts.” The center also plans to develop a gallery-like exhibition space to change the stereotypical impression of the center, by portraying a warm, creativity and high quality service space. Christian Gospel Mission (CGM) has invested long-term in volunteer work at Eden Wanfang Center. With Christ’s mentality of love and peace, combined with the Founder, Pastor Jung Myung Seok’s philosophy of action-based faith, young students are encouraged to participate in volunteer services, and today, abundant blessings were fully bestowed through the choir. One of the artists who created “Greenery of Taiwan,” A-hsui, is a disabled artist who received arts training and education from Wanfang Center in their first year of service. While drawing, it is challenging for A-hsui to handle the brush because of the abrupt, uncontrollable up and down activity in her muscles and the contracture deformation in her joints. Despite all that, her passion for art has supported her to put in more effort into drawing and thus she has ultimately won the recognition of the judging panel. “Formosa Eden — Wanfang Center 20th Anniversary Disabled Artists’ Art Exhibition” assembles the creations of 41 disabled artists. Allowing disabled friends to overcome their barriers in artistry, the exhibition spans from April 11 to April 19 and invites the public to visit the National Dr. Sun Yat-sen Memorial Hall at Tsui River Gallery, revealing to you the very stylistic Formosa.